Dox Records – Record label » ‘Equality’ album out now! 22-03 ‘Equality’ album out now! Today, the Belgium-based acoustic-electronic BLOW 3.0 releases its new album Equality.This is the band’s second album after the self-titled DIY debut in 2016. The masked musicians, two saxophone players and one drummer, started playing during the Gentse Feesten, a week-long festival in the city of Ghent in 2011. Not long after, BLOW 3.0 went viral on social media after which the band quickly started touring more and more often. The band has now grown to a true stage group that bursts with energy. The two saxophones roar like guitars or pump like synths supported by a groovy drum section, create the unique sound BLOW 3.0 is known for. 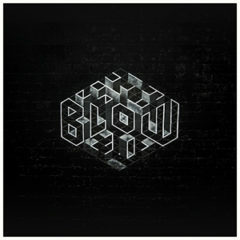 BLOW 3.0 is something of everything, but very clearly itself. Check out the full album Equality here!